6 images. 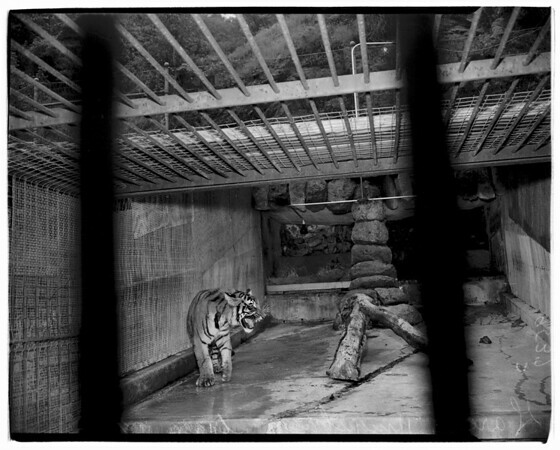 New Bengal tiger... Griffith Park Zoo, 11 April 1952. "Gara" 11 month-old Bengal tiger.